Holy cow! Thats some block! Now that's how to use up our rainbow scraps! Yikes, that is going to take me weeks to decide which scraps to use. 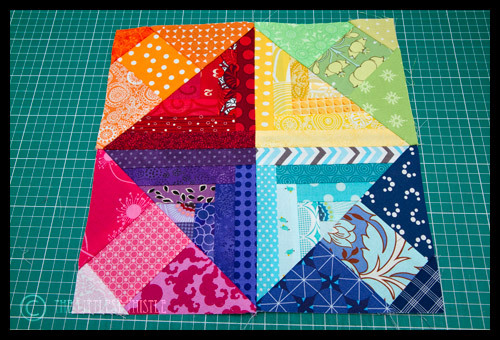 It takes me longer to decide on fabric than it does to make these blocks. That is a lovely block, and it would make a great pillow. Amy is a sweetheart and your block is fab. That one has gotme scratching my head!